As all great modern adventures certainly begin, John Almberg bought a sailboat on eBay. It was a 23-foot wooden sloop located along the Florida Panhandle. Just one problem. How would Almberg, a father of four who lives in Huntington, get his prize back to Long Island? Shipping it would prove prohibitively expensive. So Almberg decided he would sail it home. Almberg, 57, grew up sailing with his father and uncle. But he abandoned ship life in pursuit of rowing for a decade. Crew – those pencil-thin missiles cutting through the water under oar power – became his passion. Then he decided to slow down and cruise once more. Almberg and wife, Helena, began looking at sailboats. When a wooden sloop caught their eye in Mount Sinai Harbor, it gave him the blueprint for the perfect yacht. In the meantime, he decided to build an 8-foot skiff in his garage, one plank at a time. Nicknamed “Cabin Boy,” the small boat came together rib by rib and gave rise to his blog. After an exhaustive search, he finally found his yacht – for the right price – on eBay. His plan was coming together nicely. 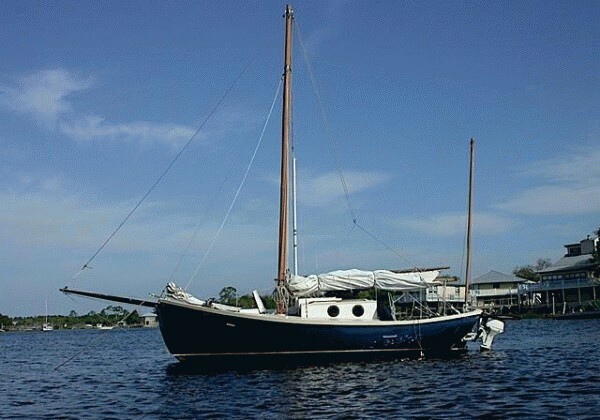 The Tom Gilmer-designed Blue Moon yawl, anchored in the Steinhatchee River, needed superficial but extensive work. Its barnacled bottom was stripped, wormy wood replaced, imperfections sanded and sealed and finally the keel painted a two-tone blue. Almberg oversaw the restoration in Florida himself. The Blue Moon, with Cabin Boy in tow, set sail for New York in April. And so Almberg’s blog, which he originally started as a way to document his scratch build of a dinghy, turned into a true nautical adventure tale. The depth and detail of the blog draws readers in. His 500-mile shakedown cruise down the Gulf coast through the heart of Florida at Lake Okeechobee and out at Indiantown on the east coast makes for mesmerizing reading and the photos are magical. 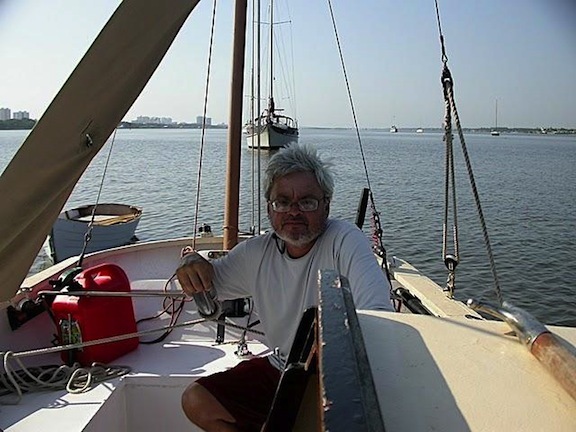 The next leg took him up the Intracoastal Waterway past St. Augustine to Jacksonville, where the Blue Moon and Cabin Boy are currently docked awaiting their captain’s return. Almberg, whose wife is Brazilian, is understandably a soccer fan. He’ll resume his journey some time after the World Cup. 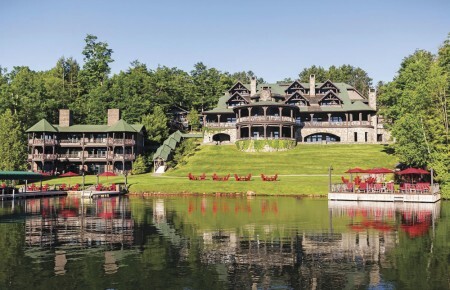 The next stop on his voyage to Long Island? Myrtle Beach, S.C.
Fun indeed. Almberg hopes to reach Long Island by November, and his blog brings us all along for the ride. Jason Molinet spent three years at Patch.com as regional editor and was a reporter at Newsday for a decade. He is a four-time Press Club of Long Island award winner. Molinet celebrates his Cuban heritage, reads Ernest Hemingway and roots for the Miami Heat.